Momentum continued to build for the women’s suffrage cause, despite disagreements among women activists. 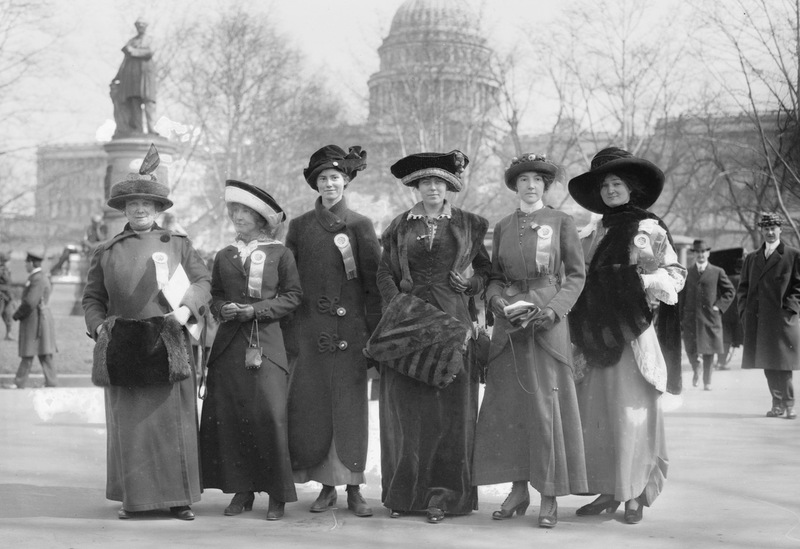 After decades of suffragist activism, President Wilson finally began to urge Congress to pass a voting rights amendment for women. Congress passed the measure after the war, in 1919. The ratification process took a year, with much of the opposition to the amendment coming from southern Democratic states. As in the past, these states argued that election law was a matter for states to decide, not the federal government. On August 26, 1920, the 19th Amendment, providing full voting rights for women across the United States, was ratified Approved by a governing body when Tennessee became the 36th state to approve it. The long battle for women’s voting rights culminated in a huge victory by securing women the legal right to vote. But the triumph was not shared with Black women - particularly in the South. While they technically gained the right to vote alongside their white counterparts, the tools of suppression [Link to tools of suppression] being used to disenfranchise Black men were easily extended to do the same to Black women.